Your weekly fix of Heroes of the Storm and HGC news in 10 minutes or less... plus an interview to get to know the pros, content creators, team owners, and influencers in the HotS community! This week has two interviews that were recorded live from BlizzCon. The first is with Disconcur, ANZ caster and Twitch content creator, talking about the challenges of minor regions and what changes could improve the competitive scene for ANZ. The second interview is with HGC support legend Bakery, talking about his new role with Dignitas, what he misses most about competitive play and what he's learned since retiring as a pro player. 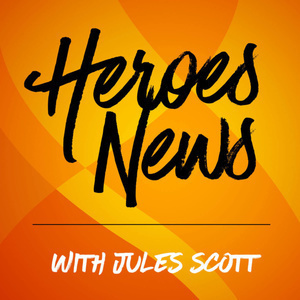 You can find the latest episode of Heroes News each week on HeroesHearth.com, your Heroes social network and toolbox, as well as on iTunes, Google Play, Pocketcasts, TuneIn, and Spotify If you like this content and would like to support the many things that HeroesHearth does, please help them out on Patreon!